We knew the game had to have some sort of collectible system, so we wanted to put 5 hard to find objects in each level. We're still doing this, but a few testers thought it would be nice to have more things to collect... things that weren't necessarily difficult to reach, but gave you motivation to continue through hard sections. 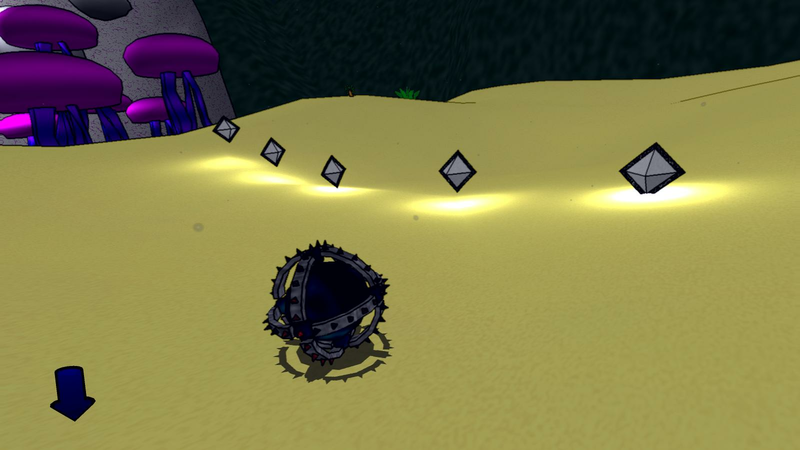 We're going to put 100 'bits' in each level, in easier to reach spots than our polyhedra. We hope you'll enjoy the addition -- it gives something else to strive for other than just completion and a fast time.